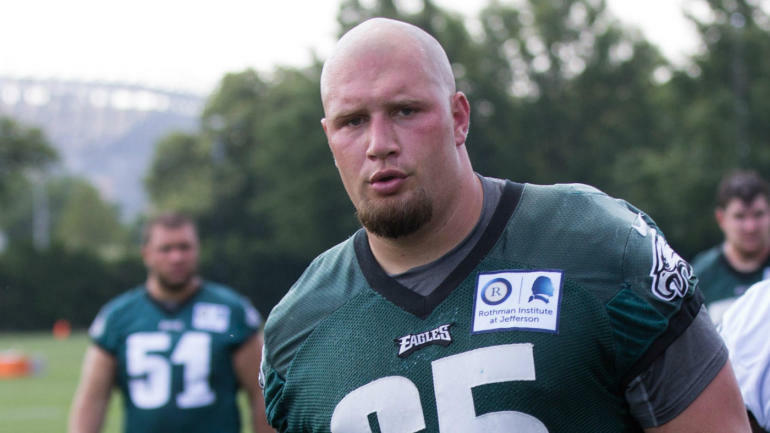 Lane Johnson joined the National Football League (NFL) in 2013 when he was selected by the Philadelphia Eagles in the 2013 NFL Draft. The offensive tackle has since exuded excellence and tenacity in the competitive sport. Johnson started from his high school days to excel in the game and has continued to maintain that standard till date. He has played a majority of the positions in the game and has recorded great feats in all. There is so much to know about the NFL player apart from his professional career. To find out more about him would mean to answer some questions pertaining to his career and personal life. He was born on May 8, 1990, in Groveton Texas. Johnson has always had an inclination to play football. He is an alumnus of Groveton High School where he recorded impressive achievements in football. He was named All-district and was also an All-state selection as a quarterback. He was also good in track; Lane made notable records in the sports while in high school. After his high school, Johnson proceeded to Kilgore College and played for the Kilgore Rangers team. He was a quarterback and also a tight end for the team. But Lane‘s time with the Rangers was short-lived as he later transferred to the University of Oklahoma after his freshman year. He joined the Oklahoma Sooners in 2009 and was redshirted. The following year he played as a defensive end and tight end. In his junior year, he played as an offensive tackle. Johnson was named a third-team All-American in his 2012 season when he also switched to left tackle. After a successful college career, Johnson who had declared for the NFL Draft attended the NFL Scouting Combine in Indianapolis Indiana. He finished second amongst all offensive linemen in the broad jump and 40-yard dash. Just as predicted, he was selected by the Philadelphia Eagles in the first round (4th overall) of the 2013 NFL Draft. Subsequently, he signed a four-year $19.85 million contract with the team. In 2016, Johnson became richer as he signed a six-year $63 million extension with a guarantee of $35.5 million. He did not only become richer but was recorded as the highest paid right tackle in the NFL. In the latter part of 2017, Lane earned $250,000 after he made the Pro Bowl. Lane Johnson would have had a spotless record but for some unacceptable breach on NFL regulations. In his 2014 season with the Eagles, the American football player was suspended by the NFL after he failed a performance-enhancing drugs (PED) test. While it was believed to be a four-game suspension, Johnson was reportedly suspended for ten games. He returned in the 2016 season and was made the right tackle. Also in 2016, Johnson got another ten-game suspension on grounds of PED violations. This time, the offensive tackle protested saying he was oblivious of the ban placed on the substance he tested positive to. His protest notwithstanding, his suspension was upheld in October that year. The ten-game suspension also saw Lane lose his contract and salary guarantees. The NFL player was not going to give up without a fight, he filed a suit against the NFL seeking a redress. Family – Kids, Who is His Wife? 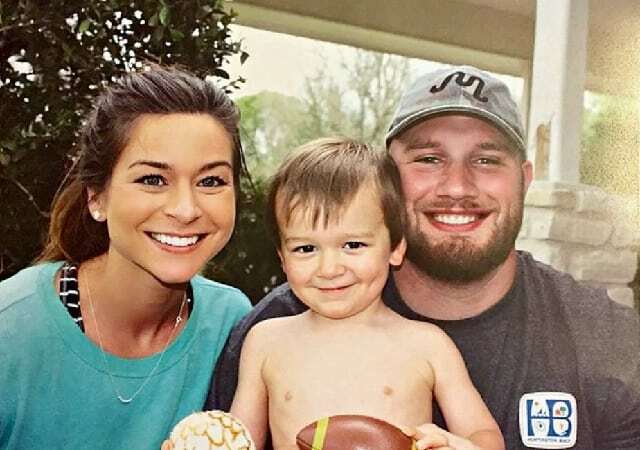 Through his devastating hurdles, Lane Johnson finds solace in his sweet and wonderful family. He may seem so busy with his professional career but the NFL player never ceases to make out time for his family. He is married to Chelsea Johnson (nee Goodman). Chelsea’s father, John Goodman who happens to be Johnson’s mentor, is a former NFL player. He played as a defensive end for the Pittsburgh Steelers from 1981 to 1985. The couple who had been dating for a long time finally decided to tie the knot in 2013. They have two children together. The couple welcomed their first child, a boy named David Jace in 2013, and in 2016, Chelsea gave birth to their second child, a girl named Journey Layne. The Eagles offensive tackle stands at a height of 6 ft 6 in (1.98 m) which is quite proportional to his weight of 317 kg. Many may think that the NFL player is slightly overweight, but they cannot deny that his weight is of great advantage.